BE OUR VALENTINE – 14-41% SAVINGS ! 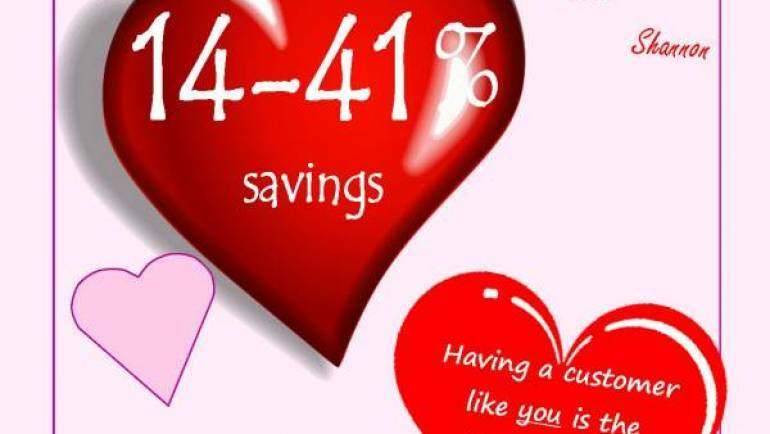 Luv’n our Customers Come pick a Valentine and receive 14-41% off your purchase Monday – Wednesday February 12-14th. Also visit our FB page and enter to win a free outfit!